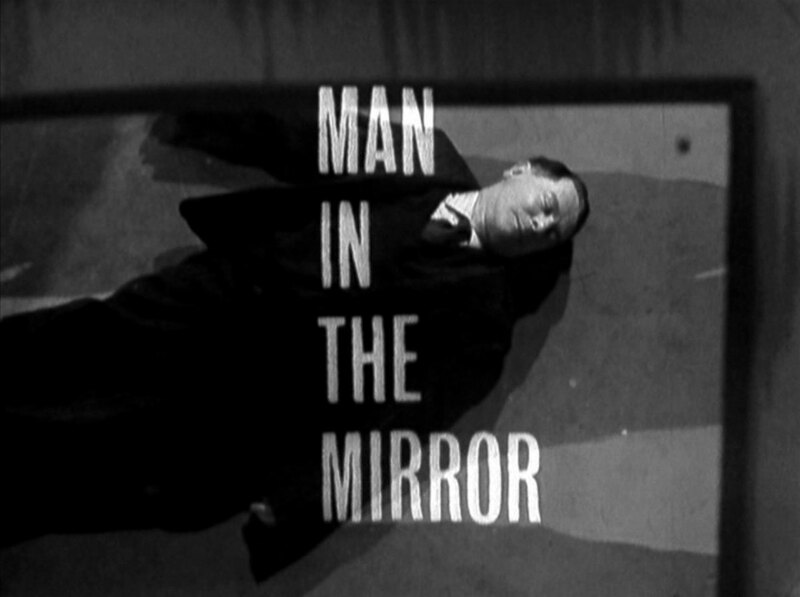 In a fun fair Ghost Tunnel, two men lay out a body (Ray Browne) then leave hurriedly, the corpse reflected in a mirror. One-Six (Michael Gover) is showing slides to his team of agents while outside Steed greets Iris (Frieda Knorr) who is posing as a prostitute and enters the building while she remains outside, maintaining her cover by propositioning an old man. Steed enters and is admonished for being late, One-Six saying he expects his team to attend briefings on time. Steed arrogantly tells him he's been in the organisation for some time and has managed to keep ahead of the opposition so far. 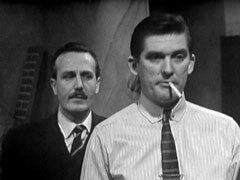 The agents are dismissed and One-Six asks Steed to look into the suicide of Victor Trevelyan, who apparently stepped in front of a train after his wife left him - Trevelyan was a cipher clerk who handled international codes so they need to make sure the suicide was genuine, or rewrite the codebook. Steed is surprised to learn he'll be doing the office work for the case, One-Six saying there are no lone wolves in his team, and Steed murmurs, "Only old foxes". 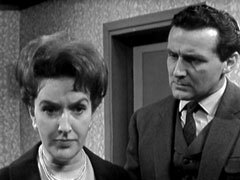 Steed visits Mrs Trevelyan (Rhoda Lewis) and Steed discovers she's going abroad - 'to Ireland to see her mother'; she tells him Victor never brought any work home and there are no secret papers in the house. He shows her a ticket for the fun fair found in her husband's pocket but she claims to know nothing about it. Venus arrives at the fun fair later on with Sheba and lets her off the lead then takes a few photos, amusing herself by photographing her reflections in the hall of mirrors; a man (Haydn Jones) peers out from a curtain behind her while she does so and is captured on film. She goes 'looking' for Sheba and encounters Strong (Ray Barrett) who tells her she's on private property, she says her dog ran away and offers to pay admission then goes off to look for her. Strong enters the Ghost Train, where the man tells him she took his picture and Strong promises to take care of her. Venus heads off to a recording studio where she's rehearsing with the Kenny Powell Trio to record a song - Betty (Daphne Anderson) enters her room after she leaves and steals the camera - meanwhile, in the studio, the producer, Peter (David Graham), starts recording and they perform "There's Nothing Like Love". Steed drops by after the first song and asks how her photography is going. She bites her lip when he claims the photos are for a friend who's planning to open a sideshow near Manchester and mutters, "All right, I believe you - thousands wouldn't" and leads him to her dressing room. Steed seems a trifle unconcerned when they discover the camera has been stolen, until Venus says the film was still in it. She corrects herself and says she'd already developed the photos of the fun fair, which she hands to him. He sorts through then and is surprised to see the man behind the curtain is the supposed suicide, Victor Trevelyan, and he tells Venus that the man died last week. Betty returns to the fair and hands the camera over the Strong, who pulls the film out to expose it. She unsubtly admires the camera and he gives it to her, but tells her off for stealing a brooch as well. She protests that she had to make it worth her while and says he'd do a flit one day and leave them in a lurch. He tells her he plans to close the fair at the end of the month, but she can come with him to 'places warm and interesting'. She wonders what Brown (Julian Somers) will think, and as an answer he emerges from one of the sideshows. Strong arrogantly says he didn't hear him knock and is reminded that Brown owns the fair. Strong tells him firmly that he's the one hiding Trevelyan and an accessory to the crime and he'll tip the police off if he doesn't do what he's told. Steed and Venus visit the fair and realise Trevelyan had been in the Ghost Tunnel so they enter it. Steed enters the control room and when Brown bursts in and asks him what he's doing, he blithely says he's looking for Trevelyan and show Brown the photo. Brown denies all knowledge and shoos him away; Steed meets back up with Venus, who says she's had enough and they exit the tunnel. Venus mutters that she doesn't understand why his friend would want to open a fair and Steed consoles her with mention of the teddy bear she's carry and he takes her home. Brown sees them leave and rushes off to find Strong and tells him what happened, Strong is concerned and hands him a revolver, saying if he sees Steed again he'll have to earn his money. One-Six views the photo of Trevelyan and says it's not much to go on. Steed concurs, but says he needs to discover if Mrs Trevelyan is in on the deal as well, as she identified the body. Steed suggests they change all the codes just in case but is told it's not that easy. One-Six gives him 24 hours and orders him to alert the ports so he doesn't escape the country. One-Six leaves and bids Iris, touting for trade outside, a good night. Steed revisits Mrs Trevelyan and asks her about the identification of the body and asks if she were mistaken then shows her the photograph from the fair. She confesses she knew he was still alive and identified another man because she'd been told they'd kill Victor if she didn't. She says she doesn't know the protagonists, but after failing to bribe Victor they threatened him. Contrary to early claims, she says she's very much in love with him and can't belive he would have been party to the murder and dressing of the 'suicide'. She then says she had been instructed to wait at home until they tell her where Victor is and Steed says he hopes so, for all their sakes. Venus cuts another song with the trio and heads off after finding a note in her dressing room, while Betty is wondering to Brown how much it would be worth to Trevelyan's wife to be reunited with him. Brown warns her Strong will stop at noting but she contacts Mre Trevelyan anyway - who tells Steed she's to meet her with £500 cash at Wonderland at 9pm, and she's pleased when he says he'll be there too. Venus returns to the fair and enters the Ghost Tunnel just as Strong receives a call from his boss, and he orders Brown to get a car ready for 11:30 the next night - for three. Betty rebukes Strong, saying he's not interested in her and he laughs then snarls that Brown won't do anything if he's got her. Venus buys a cup of tea from Betty and notices she's wearing the brooch stolen from her dressing room. Strong arrives and tells Venus she's mistaken but blanches when Venus says she'll go to the police, she turns to go but is caught by Brown and Strong sneers, "what are we going to do about you?" Steed finds Venus' dressing room empty and enters the studio, where the producer tells him she didn't turn up for the afternoon recording session and they both hope she's alright. Back at the fair, Betty revisits her plan to tell Mrs Trevelyan and is again warned against it by Brown who says he's been paid to keep quiet and she should do the same. He leaves and Steed saunters in and orders a coffee. He tells her he looking for a girl - and describes Venus. Betty excuses herself and tells Strong who identifies him as Mr Steed, and tells her to carry on as if noting's happened. Steed has seen the curtain twitch, however, and when Betty returns he charms her by saying he'd give up his date with Venus for her. 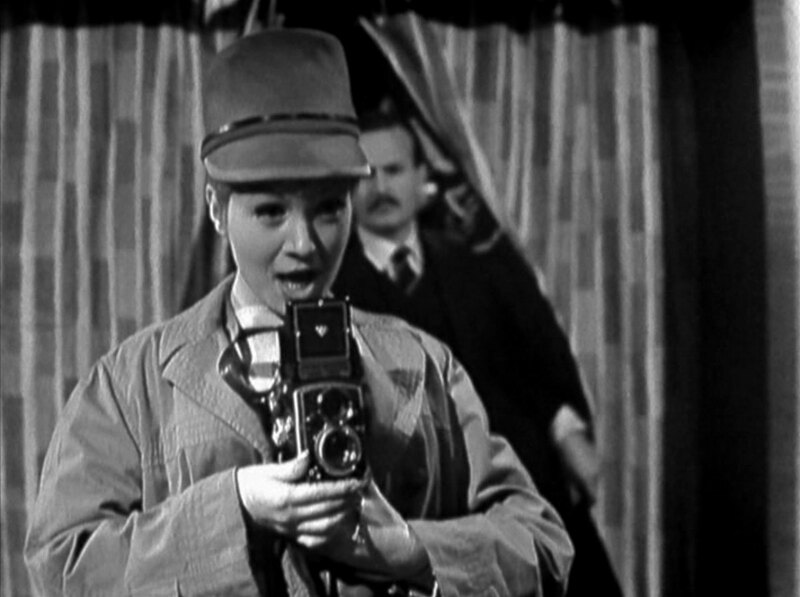 Venus meanwhile is complaining to Trevelyan about the brooch, and being sent to take photos - at which he demands to know who sent her and she realises who he is, and tells him he's dead. Strong delivers a couple of cokes to then, entering via a secret door at the back of the control room, and tells Trevelyan they're taking him to Switzerland in a few hours, and he won't be recognised because he'll be travelling inside a coffin. Venus gulps and asks about herself and is not at all reassured when Strong says they'll have a coffin for her too. 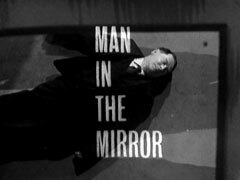 Steed finishes his coffee and bids Betty good night and hides around the corner, reentering after she goes into the Hall of Mirrors. He searches the office and smiles when he sees Mrs Trevelyan arrive. She enters the Hall where Betty greedily asks for the money, but Mrs Trevelyan demands to see her husband first - Steed enters and supports Mrs Trevelyan's demand, and they've just come to terms when Brown enters. He sends Betty and Jean to the office and tells Steed he's in over his head. 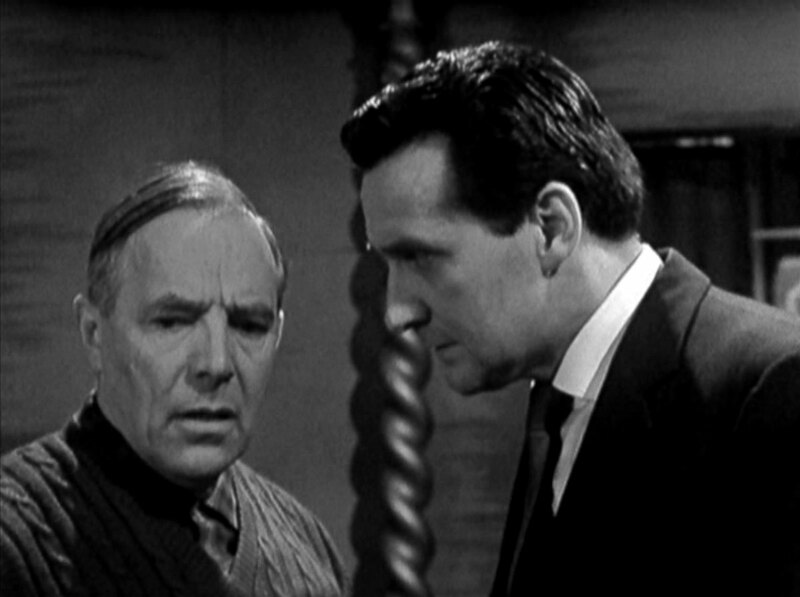 Steed sternly tells him Trevelyan was working on government secrets and if Brown's in a lot of trouble if he's hiding him - but might get off lightly if he co-operates. Brown agrees when Steed says he'll take care of Strong - who immediately appears and shoots Brown then goes after Steed, who eludes him and tackles him on the office stairs. Strong shoots himself as they struggle but fights on manfully. Steed has just overcome him when Mrs Trevelyan enters with her husband, picks up Strong's revolver and points it at Steed. Trevelyan takes the gun from her and leads Steed away while Strong goes to tend his arm. Steed congratulates them on having two traitors in the one family while Betty tends Strong - and is shocked to learn that Brown is dead. Strong realises she was trying to give him the slip and goes to strnagle her, but she grabs a knife and stabs him in revenge for Brown. Venus is pleased to see Steed enter her quarters - until she notices Trevelyan with the revolver - and he says, "I would have got here sooner if I could". 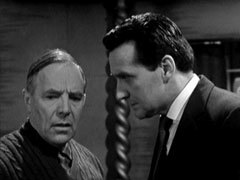 Trevelyan starts to tie Steed up, and Jean says they're doing it for the money, a miserable pension is noting to look forward to. Victor sets up a bomb connected to a gramophone, giving them three minutes to get clear while Betty is horrified to find herself crouching over the corpse of Strong with a bloody knife. She cleans herself up and hears the Trevelyans arrive, looking for Strong who has all the money and passports. Jean tells Victor she warned Strong about Betty and the packet didn't really contain £500; she spots Strong's body and Betty slips away to find Brown. Venus hears her calling for him and they clamour for help and, after a bit of fumbling, she finds the door lever. Steed tells her to shut down the main switch to stop the gramophone and she then unties them. Betty rushes off again and finds Brown, wounded but still alive, and he tells her he's going to be alright. 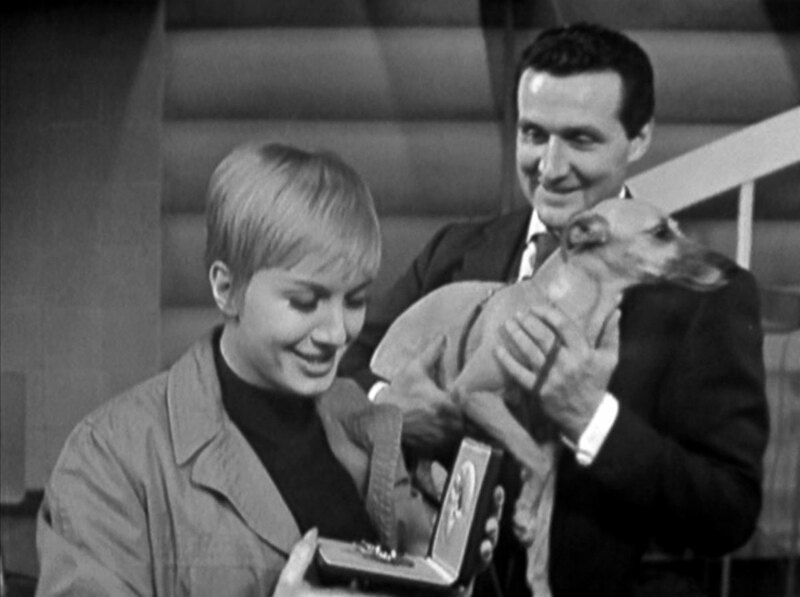 Venus returns to the studio and grabs her score just before Steed arrives with Sheba. She cuddles the dog and Steed tells her he's retrieved his camera and she can borrow it anytime, at which she says she's going to take up knitting. He laughs and gives her a brooch to replace the one Betty stole - a representation of the astrological sign for Venus.